If you want to get any smartphone better than iPhone, Samsung, LG, I think there is a best smartphone for you. 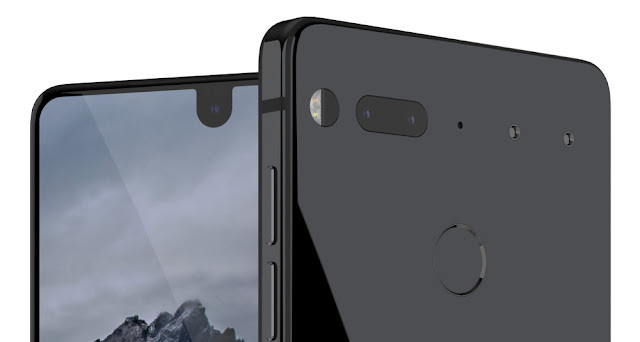 Essential phone is the best smartphone in the market. 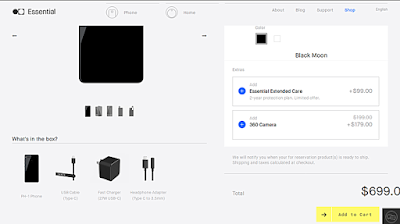 Essential phone is now available to process in US and Canada. Last month the smartphone was available only for pre-order but now this phone is available for open sale in the country. The company has decided to sale black moon colour on this website for immediately shopping and they should get the price of this Smartphone is 699$. You can also get this is smartphone from another website like Amazon best buy and sprint. Only you can pre-order but shipping should be start on September 13 and that is saying only sprint online shopping website. If you want to get this Smartphone immediately you can get this Smartphone. Only the source of this Smartphone is telus, which is situated over in canada. There is some changes in the smartphone which is handset camera app and it has received an update bring a couple of notable changes. And this update issues fixes on users face white saving 360 videos. And there another changes of the smartphone is it also speed of colours or mono image fusion. That's a great news for all the residents of USA and Canada. But what about the residents of other countries like Pakistan and India?When will this mobile be launched there?